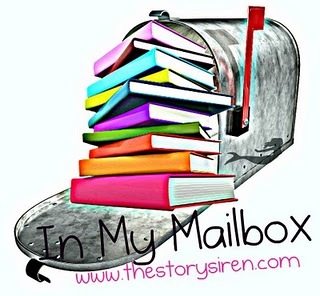 In my mailbox is hosted by the lovely Kristi over at The Story Siren. In My Mailbox was created to showcase books that have been bought or received, as not all of them may necessarily get reviewed. This week I had a pretty big book haul. Pyxis bookmarks from KC Neal, Thank you! I won Die for Me from Jodie over at Books for Company a while ago. I also bought The Forest of Hands and Teeth this week. I read Stolen a while back and it was alright but not totally for me. And *someday* I will sit down and read something by Cassandra Clare. Really. You have lots of books this week. I still have to read Clockwork Angel. I've heard good things about Gallagher Girls series! I should check them out. Awesome IMM! Happy reading! Oh wow amazing haul! I still have to read Die For Me too I heard it was awesome!! Wow you got a lot of good looking books this week! you got A Witch in Winter? oh my, oh my. lucky you!!!!!! Stolen is an awesome book!!! I can't believe you got Clockwork Prince. I NEEd to pick it up ASAP!!! Enjoy your awesome haul!!! I'd love to hear what you think of the Morganville Vampires. I bought a volume with the first two books a few months ago but haven't read it yet. I've heard good things about it, though.